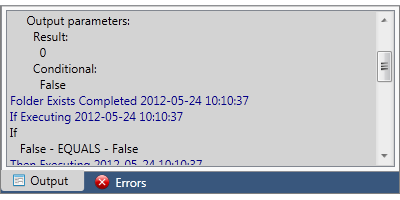 The default Automation Policies that are included with MSP N-central cannot be edited. 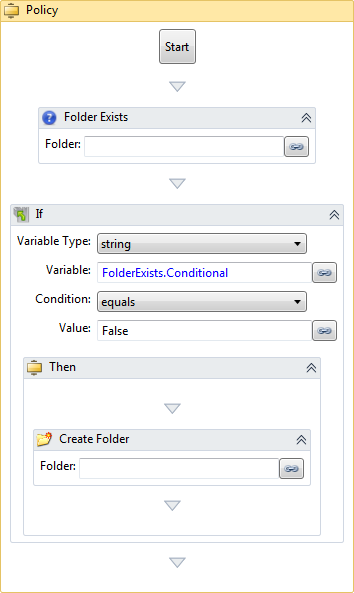 Copies of the default Policies can be created using the Clone feature and the cloned Policies can be edited but the original Policies cannot be modified. 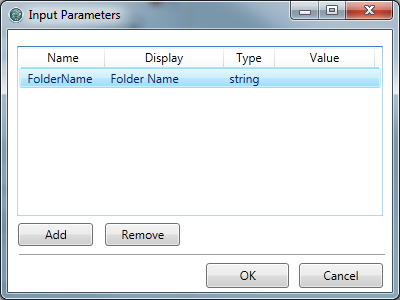 To open an Automation Policy on your local computer or a network share, click File > Open. You can also click Open Policy > Browse in the main content pane or the icon in the toolbar. To open an Automation Policy on the MSP N-central server, click File > Browse MSP N-central. You can also click Open Policy > Browse MSP N-central in the main content pane. Click on the name of the Policy that you want to edit. Update the Policy properties as required. To rename an Automation Policy or to edit the Description, click Options > Properties. Once you have completed your changes, click File > Upload to upload the Policy to the Script/Software Repository or click File > Save to save the Policy to your local computer or a network share. In the toolbar, you can also click the icon to upload the Policy or the icon to save the Policy. The debugging feature of Automation Manager is similar to using Run except that it proceeds through the Policy by highlighting the execution of each Automation Object one step at a time and at a slower pace in order to allow easier reviewing. Click on the name of the Policy that you want to debug. Select the Automation Object in the Policy that you want to configure as a Breakpoint. Click Debug > Toggle Breakpoint (or press F9). Repeat this procedure for every Object you want to configure as a Breakpoint. 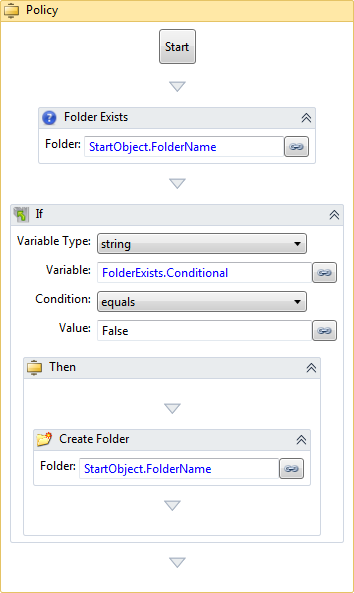 A icon will be displayed beside each Object that is a Breakpoint. Click Debug > Go (or press F5) to start the debug process. If the debug process is stopped or when it pauses at a Breakpoint, click Debug > Continue (or press F5) to have the debug process continue the step-by-step review of the Policy. 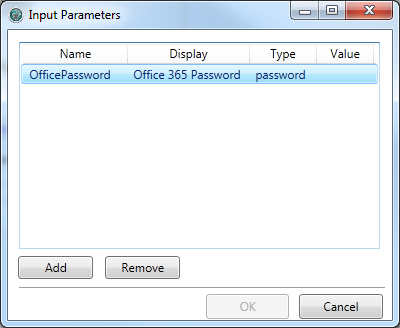 A new Password type input parameter has been added to Automation Manager 1.6. 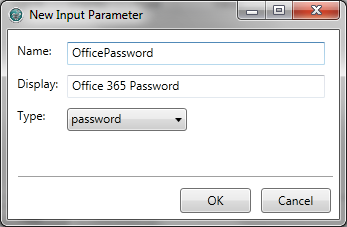 For Automation Objects that require a password as an input parameter, an Input Parameter with the type Password must be created within the Start object and the Password Type Input Parameter must be linked to the Password field within an Object. This policy requires signing in to Office 365. 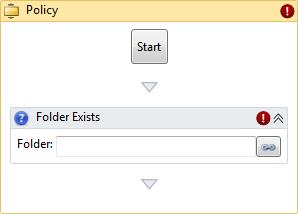 In the Policy frame that is displayed in the main content pane, click Input to create policy input parameters. 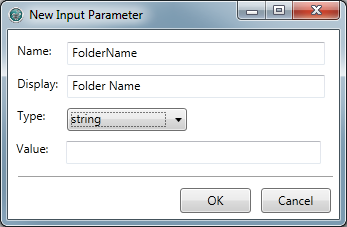 Select the Type of parameter. Click beside the Password field. 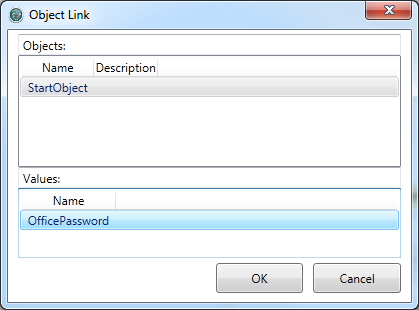 In the Object Link dialog box, click StartObject. 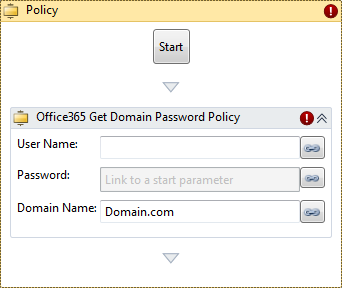 Under Values, click the name of the Password object you created in In the New Input Parameter window, type a Name to be used to identify the new parameter..
Continue creating the Policy as described in To create a new Automation Policy above. After you upload the new Automation Policy to MSP N-central, selecting this Policy to be run will prompt you to type the password value.